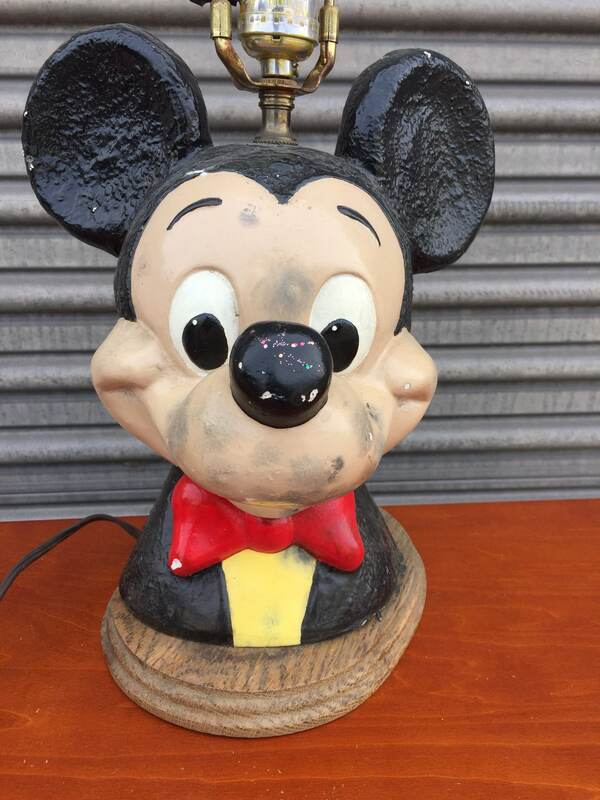 Vintage, hand painted, hand made folk art of the worlds favorite mouse. 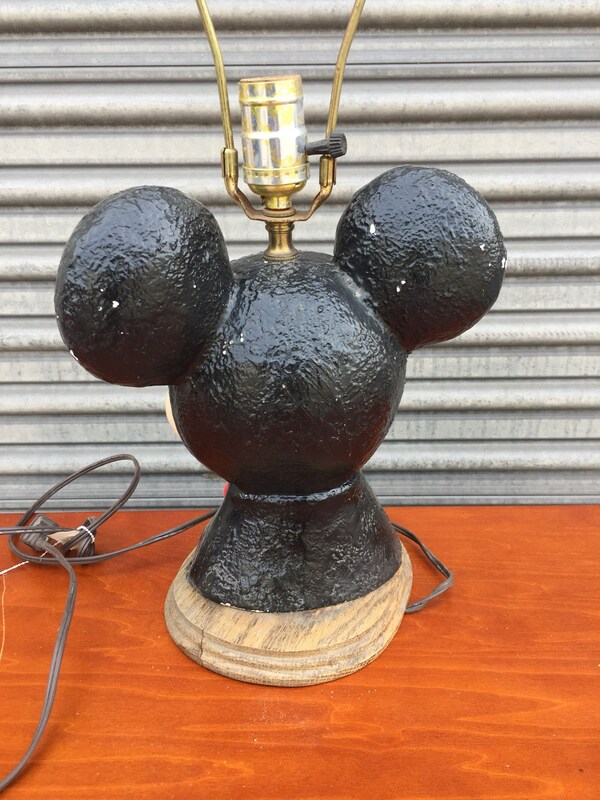 Looks like it's from the 70's, this tuxedo Mickey Mouse Lamp has tons of charm. Has a nice patina that lends itself to the overall vintage look and feel. 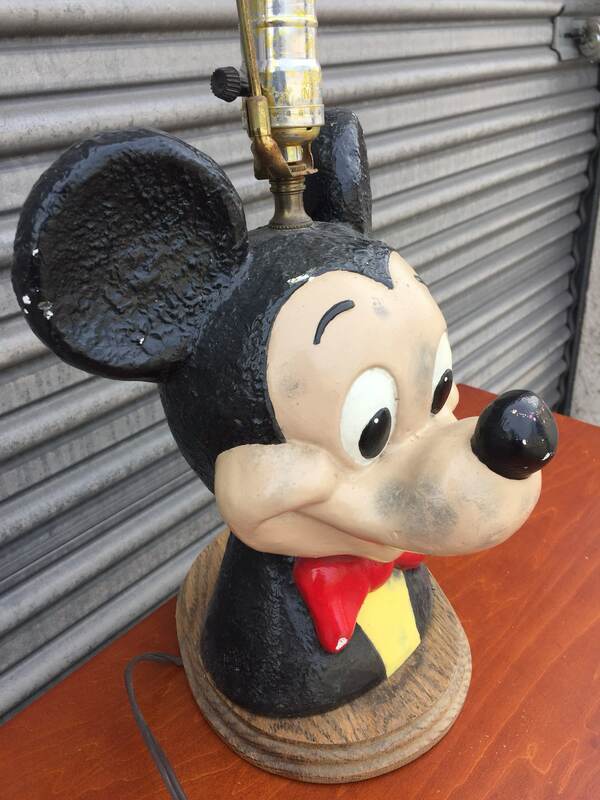 Sitting on an oak base, this Mickey stands 13" tall and 10" wide. 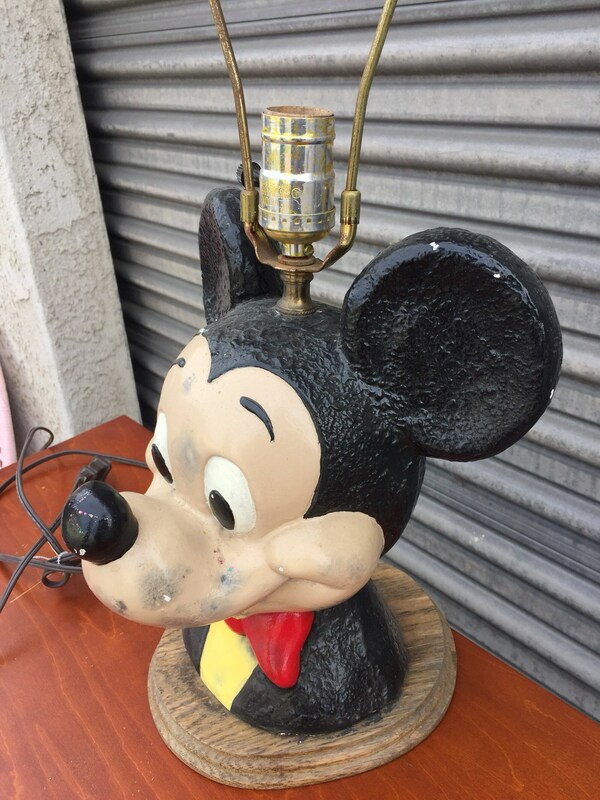 Has the frame to add your favorite lamp shade. Tested to ensure it functions properly. 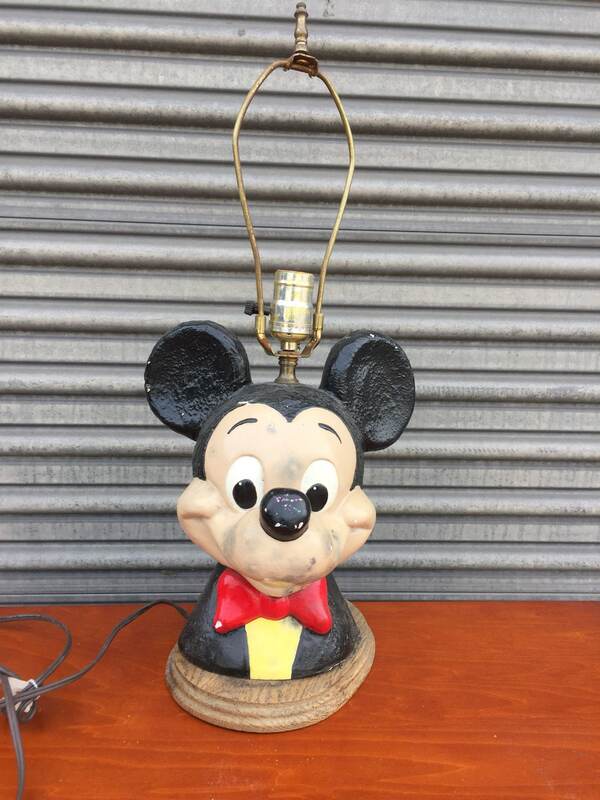 Will make a great desk or table lamp.